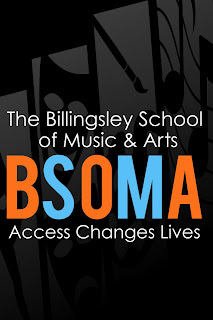 This has been a very productive week for The Billingsley School of Music & Arts (BSOMA). We have made great strides since beginning the nonprofit in October 2012. Received Our 1st Donation of $100! This is only the beginning, but we are off to a great start. Continue to keep us in your thoughts! On Friday, January 25th we shot a video at The Ritz Theater in NE Minneapolis. 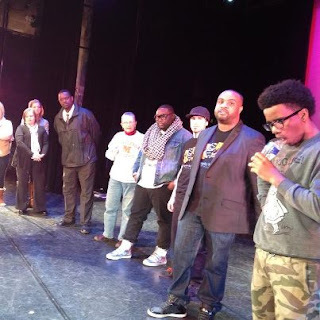 Over 50 people came together from across the metro for one cause: Arts Access For Under Served Youth! We had an AMAZING time, everyone had so much fun! And the kids had the opportunity to participate in a professional Video & Photo Shoot for the first time. They enjoyed seeing the behind the scenes work that takes place when shooting a video and taking photos. It took a great concerted effort to pull this video & photo shoot together. The venue had to be booked, videographers and photographers had to be scheduled, the taping had to align with all of the student's and parents' schedules as well. What I realized was that it truly takes a village to raise a child. So thank you to the village of people who came together to make this dream a reality! Ronie George - An AMAZING art teacher who changes the lives' of her students everyday. Lonte Hill - A passionate, dedicated, and talented dance teacher, businessman, philanthropist. Kenneth Caldwell - Art exudes from him and students have no choice but to develop a love for it. Melissa Briggs - A highly talented actress and extremely engaging theater educator. Brandon Commodore - My brother and best friend who has been there through thick and thin. 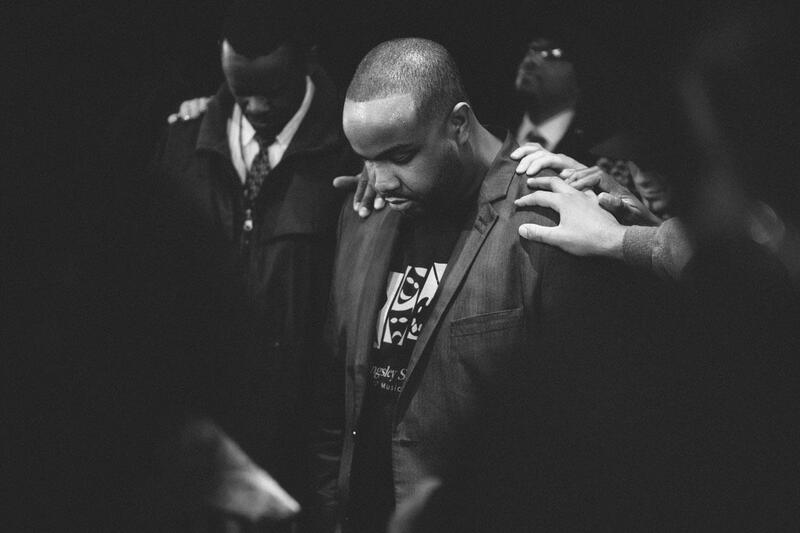 Courtland Pickens - A passionate, loving and caring person with a heart for inner-city youth. Senator Amy Klobuchar - A brilliant mind who is willing to help and support all people. Susan Campion - A brilliant board member that oozes ideas, connections, and creative innovations. Gary Hines - Founder of The Grammy-Award Winning Sounds of Blackness & Community Activist. T. Mychael Rambo - Amazing community leader, arts advocate, and highly accomplished Actor. Amy Oksnevad - A sweet-spirited dance teacher that truly loves and breathes the art of dance. Malcom & Sarah Schaus - Parents of current students who have been so supportive on this journey. Marie Chante - Amazing spoken word artist who has a huge heart for the arts & underserved youth. Corey Stampley - A student and friend that I have had the opportunity to mentor. Yanni Davis - Another student that I have had the opportunity to mentor. Justin Blair - Photographer Extraordinaire that really brought the BSOMA vision to life and fruition. Carl Martin - Extremely talented Videographer with an amazing drive, and work ethic for excellence. Tyaira Hayden - A young ambitious entrepreneur that is excelling at creating her own path and brand. Thank you to each and every person involved! BSOMA would like to extend our 1st Official Thank You to Lucy Newcomb for donating $100.00! Lucy, your contribution is going toward a GREAT cause! Thank you for being the first to make a contribution. You will forever hold a special place in our hearts. I had the honor of visiting with the great people at Amy Klobuchar's office this week. I went in with an expectation and they far succeeded anything I could have ever dreamt of! 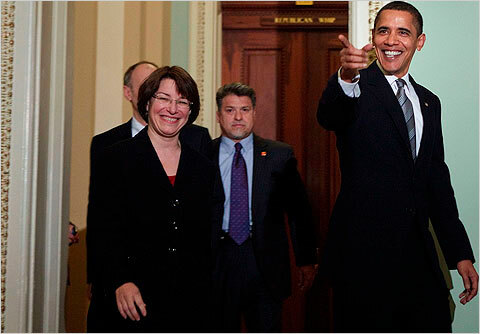 Thank you so much to Senator Amy Klobuchar and staff for going above and beyond the call of duty! We are partnering together to bring arts access to underserved youth. Be on the lookout for some really great things with this new partnership!